Professor Shaheen and his colleagues studied 492,999 Swedish mothers and their children. They looked at data on prescriptions for different types of painkillers during pregnancy and compared this with rates of asthma diagnosis in the children. They also looked at other data on the mothers, fathers, and any sisters and brothers. Professor Shaheen explained: "These different types of painkillers work in different ways, but our results suggest that when women are prescribed them during pregnancy, the associated increases in children's asthma rates are fairly similar for all types." Our interpretation of this is that it's less likely that the drugs are responsible for the asthma. Instead, it seems more likely that another factor that we haven't measured is linked to use of these drugs and to asthma risk. For example, women who are taking prescribed painkillers are likely to be suffering from chronic pain. If that's the case then it's important to manage chronic pain during pregnancy and we should not avoid prescribing painkillers to pregnant women when they are needed. 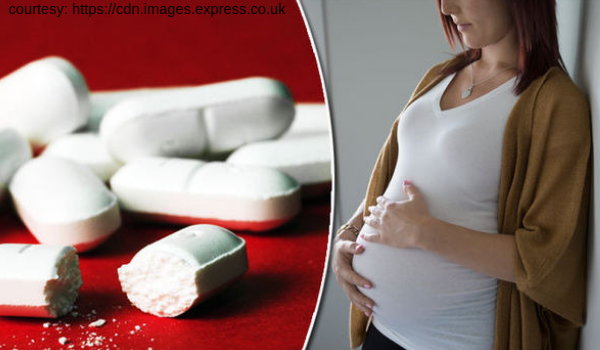 Similarly, women should feel reassured that infrequent use of paracetamol in pregnancy, which is commonly obtained over the counter and is the recommended painkiller to take in pregnancy, is unlikely to cause asthma in their offspring.